As part of the preparations for next year’s RAF Centenary, the gate guardians at RAF Museum London is transforming are being renovated. This week, the Museum’s Mk II Hurricane and Mk IX Spitfire replicas were dismantled and prepared for transportation to the Michael Beetham Conservation Centre in Cosford. Both Gate Guardians will be returned back to the Museum’s London site in time for the Museum’s commemorations and celebrations of the centenary of the foundation of the Royal Air Force on 1 April 2018. They will be positioned so that they welcome members of the public as they enter through the Museum’s new entrance on Grahame Park Way. One of the finest developments of the Rolls Royce Merlin engine series, the Mk IX was originally intended as a match for the German Focke Wulf 190. In comparison the Hawker Hurricane Mk II with its greater armament and simple, sturdy construction made it an effective ground attack fighter during the mid-war years. Its markings are currently those of No 121 (Eagle) Squadron, based at Kirton-in-Lindsey, Lincolnshire during the summer of 1941. These markings will be changed to that of the Mk I Hawker Hurricane flown by Sgt Ray Holmes of No.504 Squadron from RAF Hendon on 15 September 1940. In an act of selfless bravery, and with no thought to his own safety, Sgt Holmes prevented a Dornier Do17 Bomber from destroying Buckingham Palace by ramming it with the wing of his aircraft, forcing the Bomber to crash in the forecourt of Victoria Station. His Hurricane was badly damaged, crashing near the grounds of Buckingham Palace. Holmes bailed out injured but survived eventually becoming a journalist in Liverpool after the Second World War. The adoption of this new colour scheme is indicative of the Museum’s stated aim to tell more stories about its aircraft and the people who flew and maintained them to aid a greater understanding of the RAF amongst its visitors. 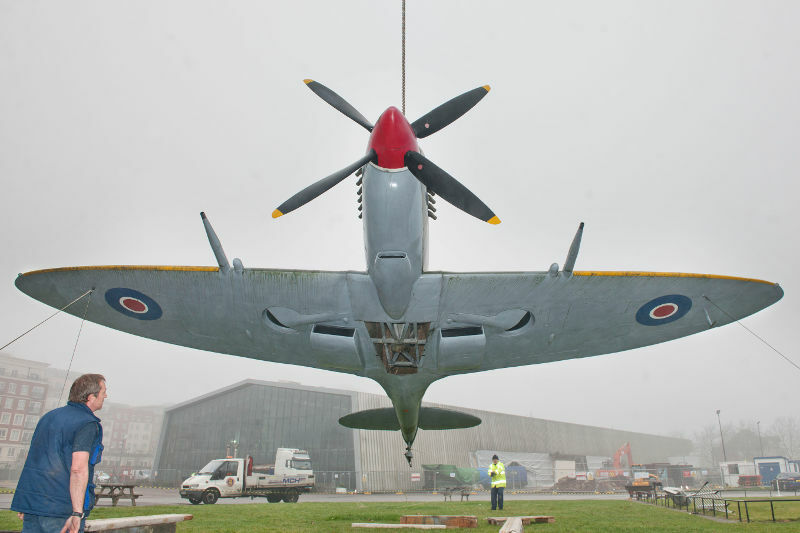 In 2004, parts of his Hurricane were successfully excavated and can currently be viewed by visitors in foyer to the Museum’s Historic Hangars. The new scheme for the Spitfire has yet to be decided. 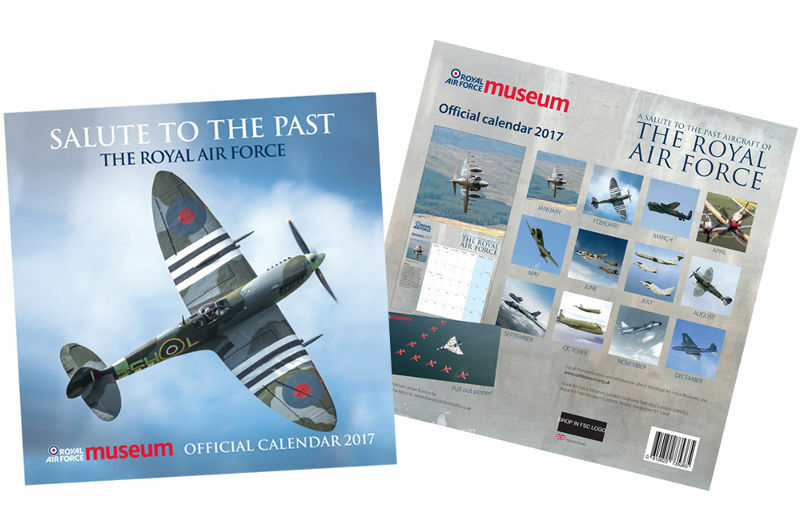 The Museum’s London site will remain open from 10 am daily during the works for the RAF Museum’s Centenary 2018 Transformation Programme. Admission to the site is free of charge. Please note : that from mid-February parking at the site will be restricted until summer 2017. We therefore recommend travelling via public transport to reach us. The nearest Underground Station to the Museum is Colindale on the Edgware Branch of the Northern Line. The nearest main-line station is Mill Hill Broadway. For full details on how to reach us please visit www.rafmuseum.org/london. 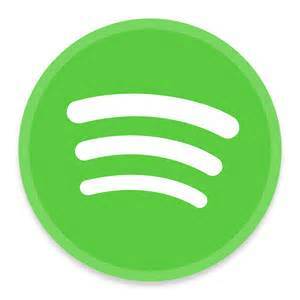 Along with our other social media platforms such as Facebook, Twitter and You Tube, the Museum sees Spotify as a fantastic way of engaging with audiences, young and old. We look forward to developing new playlists which reflect our collections the work we do and the music we love. Listen, enjoy, follow and share! The £12.5 million landmark building and exhibition was officially opened in 2007 by HRH The Princess Royal and invited VIP guests included the Rt Hon Baroness Thatcher. Its eye-catching architecture and dynamic aircraft displays truly have the ‘wow’ factor and in addition to the unique aircraft collection, visitors can also view iconic cars, tanks, memorabilia and even life-sized Russian dolls. Immersive Hotspots covering topics including the Space Race and the Cuban Missile Crisis are a hub of information, engaging visitors with a Cold War history spanning over four decades. 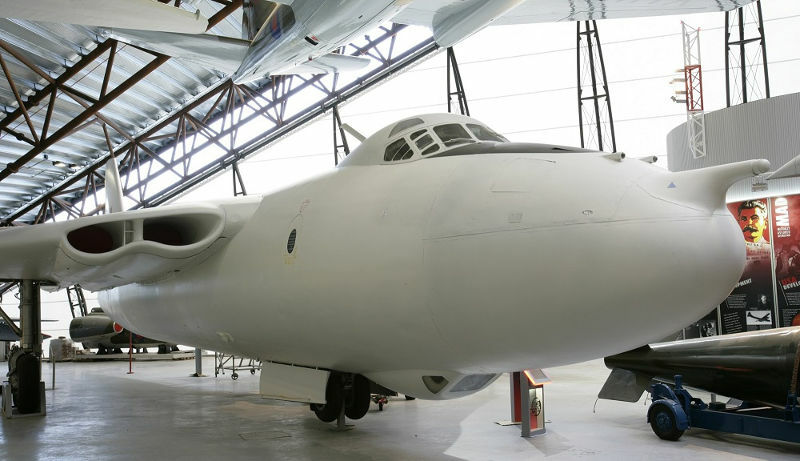 Cosford is also the only place in the world where you can see all three of Britain’s V-Bombers; the Vulcan, Victor and Valiant displayed together under one roof. The Valiant was the first of Bomber Command’s V class aircraft and established Britain’s air-borne nuclear deterrent force before pioneering operational in-flight refuelling in the Royal Air Force. Not only was it the first V-Bomber to enter service, it was also the first to drop an operational British nuclear weapon over Christmas Island in 1957. The Victor was designed and in service as a strategic nuclear bomber, some were converted to in-flight refuelling tankers and remained in service until 1993. Victors were heavily utilised in the 1982 Falklands campaign and the 1991 Gulf War before retiring from service in 1993. 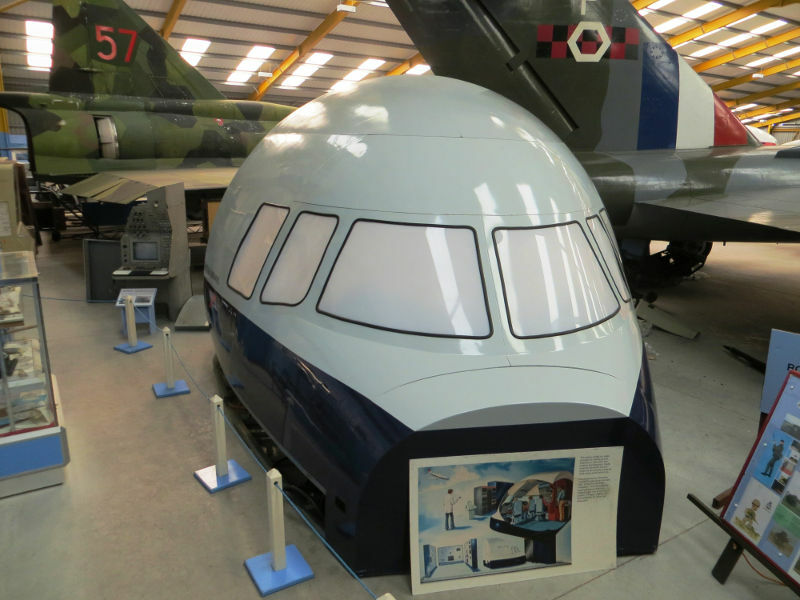 Both aircraft now reside at the RAF Museum Cosford, displayed alongside the Hawker Siddeley Vulcan B2 and dominate the upper level of the National Cold War Exhibition. 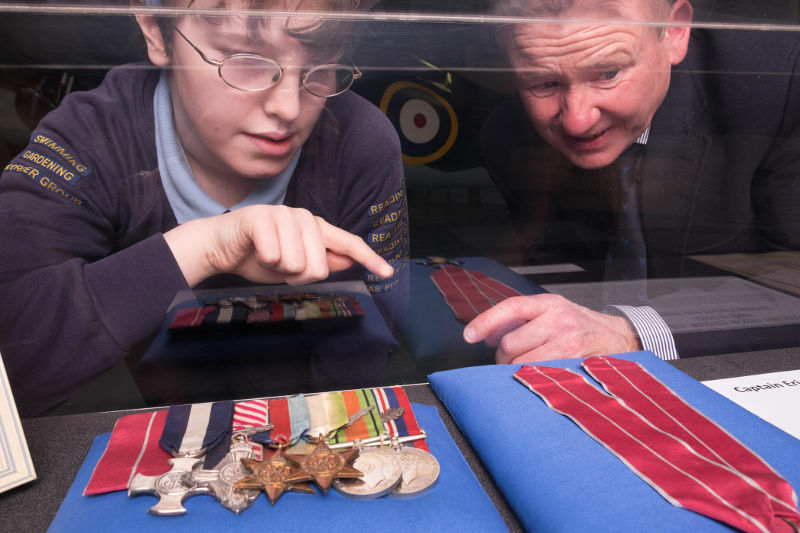 Yesterday at The National Museum of the Royal Navy’s Fleet Air Arm Museum, an 11-year old schoolboy got a sneak preview of the medals and log books of his hero Captain Eric “Winkle” Brown that he campaigned to save. When he heard the news that they were to be auctioned following the world record breaking test pilot’s death Eachan Hardie wrote to numerous company executives urging them to help. His fears were unfounded as it transpired they were secured for the nation following the intervention of an incredibly generous, anonymous donor by The National Museum of the Royal Navy for display at its Fleet Air Arm Museum, a real favourite of Captain Brown. Eachan Hardie struck up a correspondence with Captain Brown after it emerged he had written to him seeking advice on how to become a test pilot. Eachan was inspired by “Winkle” Brown’s world record for the most aircraft carrier take-offs – 2,407 and the most landings – 2,271. The Fleet Air Arm Museum’s Curator of Aircraft, David Morris, got to know Captain Brown well. He showed Eachan the collection before it goes on display for a short period from 21st January, which would have been Captain Brown’s birthday, until 19th February. Following his death on 21st February 2016 age 97 the news broke that the collection could be sold at auction. At the time Eachan said: “I think they should be in the Fleet Air Arm Museum so that young people like me can see them and be inspired. It is fair to say that Captain Brown was by many measures the Fleet Air Arm’s most significant pilot of the post-war period. On 3rd December 1945 he became the first ever pilot to take off and land a jet aircraft – the Sea Vampire – on a carrier. The Fleet Air Arm Museum displays the very same Vampire in which he completed his jet-powered flight. Also included in the museum collection are the goggles and wrist compass which he wore during his tests and in 2015 Captain Brown himself unveiled a new bronze bust commissioned by the Society of Friends of FAAM. People planning to attend one of the UK’s most exciting family days out have until the end of January to take advantage of a ‘super’ offer. 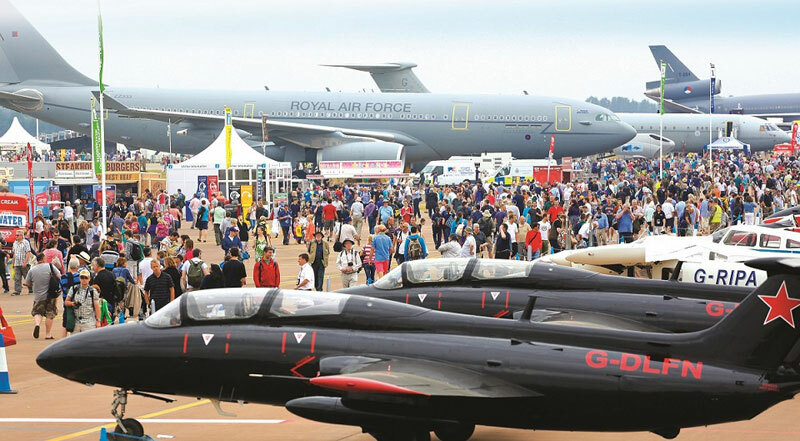 Specially priced Super Earlybird tickets to the world-famous Royal International Air Tattoo are available until January 31, offering savings of up to 25 per cent on the price of a standard admission ticket. This summer’s airshow, which takes place at RAF Fairford on July 14-16, will feature exciting aircraft from around the world including the hugely popular Thunderbirds demonstration team from the US. The team, whose last appearance in the UK was in 2009, will be returning to mark the 70th anniversary of the US Air Force (USAF). Prior to February, Super Earlybird Friday tickets are priced £29, offering a saving of £10 off the standard admission price whilst Saturday and Sunday Super Earlybird tickets are priced £42, representing a saving of £13. Entry is free for all children under 16 who are accompanied by an adult ticket holder. Head of Marketing Helen Webb said: “The airshow provides an exciting day out for the whole family, with attractions suitable for all ages. Aside from the riveting air displays, youngsters can get to grips with the latest engineering technology in the Techno Zone, while parents take a walk down memory lane in the Vintage Village. This year the Air Tattoo will have an American theme as it celebrates the 70th anniversary of one of the largest air forces in the world, the US Air Force. The Thunderbirds’ performance will form part of the airshow’s official tribute to the occasion and will be the team’s only UK appearance in 2017. The Royal International Air Tattoo is the world’s biggest military airshow, held annually at RAF Fairford in aid of the RAF Charitable Trust. 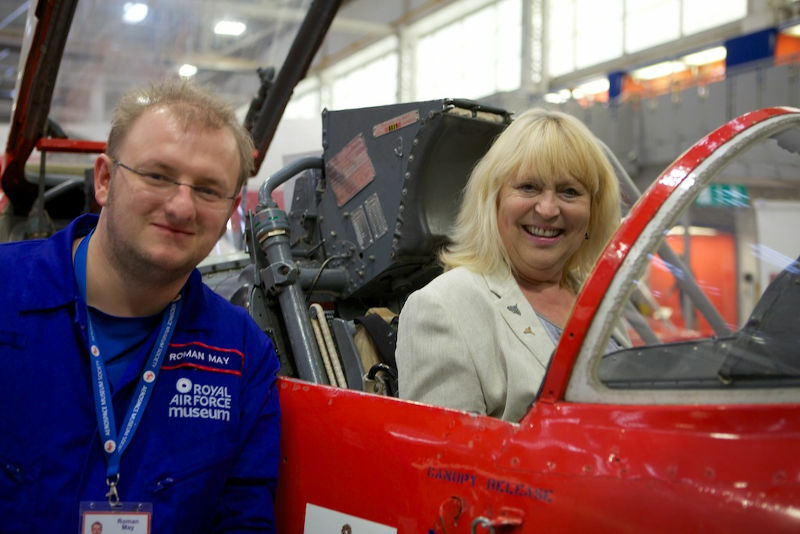 The Trust funds a wide range of projects and initiatives that Promote the Royal Air Force, Support its people and Encourage in youngsters an interest in aviation. Super early-bird tickets are priced at a reduced rate of £29 on Friday and £42 on Saturday and Sunday for a limited time only. All accompanied under-16s are admitted free of charge. To buy your tickets or to find out more about the Air Tattoo, please visit www.airtattoo.com or call 01285 713456. During 2016 a steady programme of preparation work has been underway for the repaint of de Havilland Sea Vixen FAW.2 XJ560 at Newark Air Museum. The full extent of this work was recently captured in the warm wintery Nottinghamshire sunshine, from one of the high-level work platforms that is now being used to carry out the work. It is expected that the Sea Vixen will be returned to the markings that it wore when serving with either 892 Squadron or 893 Squadron of the Fleet Air Arm, during the 1960s. In recent weeks a significant amount of effort has been expended on the reassembly of the Lockheed TriStar simulator at Newark Air Museum’s site in eastern Nottinghamshire, close to the border with Lincolnshire. The exhibit was donated to the museum by the Royal Air Force Museum at Hendon, back in autumn 2015; and arrived on site in February 2016. Initially it had been anticipated that the simulator would arrive in one piece, but this was not the case as the simulator had already been disassembled. 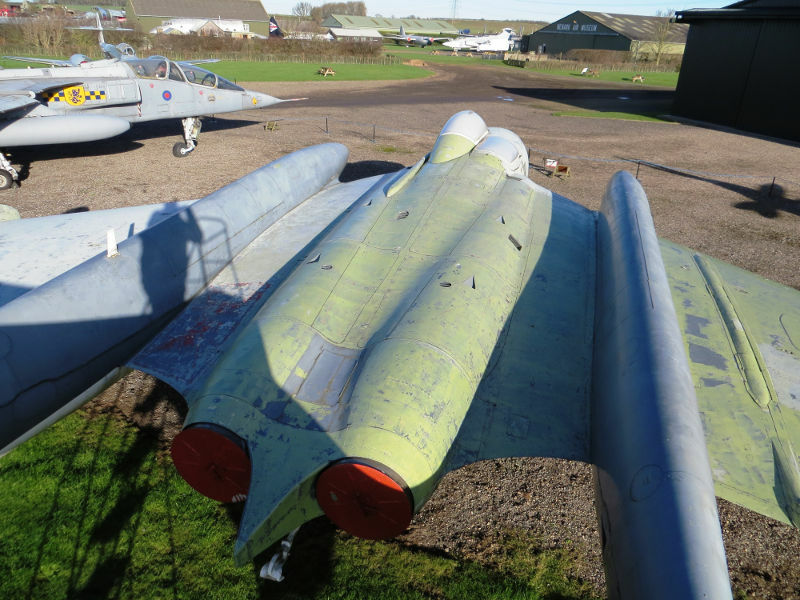 After various location options were considered the reassembly is now taking place in an area of Display Hangar 2 behind the Gloster Javelin and Saab Viggen aircraft. The reassembly work has focused around the main instrument panel, which is now in situ; along with the majority of the external cockpit panels. This is proving to be quite a complex task, but one that is being tackled in a methodical manner; but this will culminate in quite an impressive exhibit in the future. At this time it is still not confirmed to what extent the simulator will be returned to an operational condition; although an appropriate power is located nearby. This latest acquisition complements the museum’s growing collection of ‘synthetic’ trainers and adds part of a notable airliner cockpit to the museum collection.